The International Centre for Scientific and Technical Information is an International organization (ICSTI), which was established on February 27th, 1969 under the provisions of an Intergovernmental Agreement on the Establishment of the International Centre for Scientific and Technical Information. 22 states are members of the ICSTI: Republic of Azerbaijan, Republic of Belarus, Republic of Bulgaria, Republic of Cuba, Arab Republic of Egypt, Republic of Estonia, Georgia, Republic of Hungary, Republic of India, Republic of Kazakhstan, Democratic People`s Republic of Korea, Republic of Latvia, Republic of Moldova, Mongolia, Republic of Poland, Romania, Russian Federation, Republic of South Africa, Democratic Socialist Republic of Sri Lanka, Republic of Turkey, Ukraine, Vietnam. The Republic of Moldova was accepted as a member country of ICSTI in 1993. The main objective of ICSTI is to provide information, analytical, consultative and organizational support to international cooperation in fields of science, technologies and business. The ICSTI supreme governing body is the Committee of Plenipotentiary Representatives (CPR), consisting of Plenipotentiary Representatives appointed by Governments of respective ICSTI member states. ICSTI day to day activities are managed by the Director and his deputies. On behalf of the Republic of Moldova, the Plenipotentiary Representative is currently the Director of the National Institute for Economic Research, correspondent member of the Academy of Sciences of Moldova. The ICSTI committee meets at least once per year in accordance with the work plan approved by it. On September 19-20, 2018, at the 69th Meeting of the Committee of Plenipotentiary Representatives of the ICSTI Member States which took place in Minsk, where the General Director Ugrinovich E.V. reported on the work done during the year. During that event there were discussed the priorities and the development process of national systems of scientific and technical information and IT of the ICSTI member states. 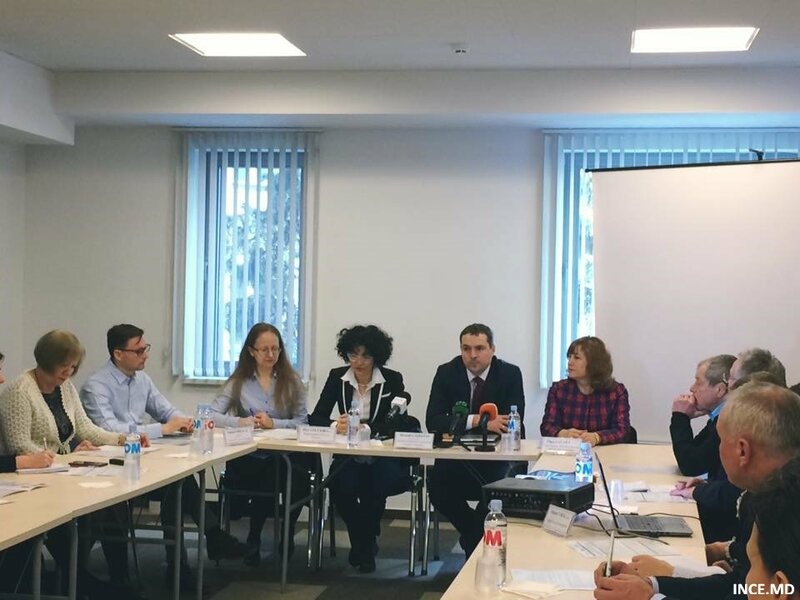 At that meeting, there was presented information on “The situation of the scientific and technical information field in the Republic of Moldova” and “The information on the provision of education and science in the Republic of Moldova”. 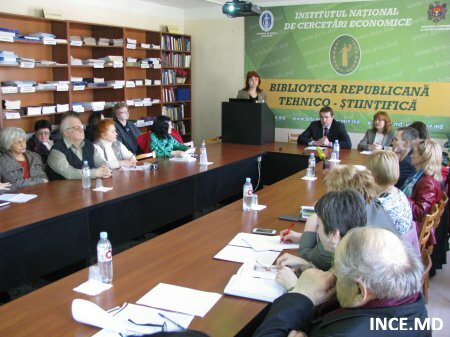 By the new ICSTI Scientific Council was approved the candidate of Mrs. Natalia Perchinski as a member, and the candidate of Mrs. Natalia Guslikova as a member of INCSTI group on science, innovations. 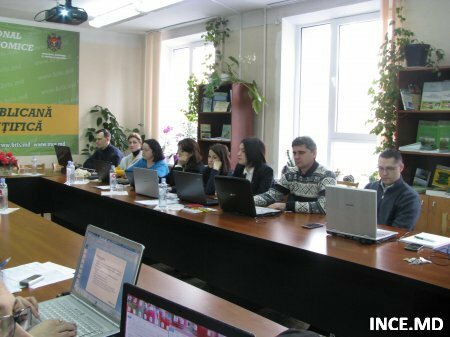 The International Center for Scientific and Technical Information in accordance with the ICSTI Statute performs the tasks assigned to it together with the interested bodies of national information systems and individual scientists and specialists of the member states based on contracts and cooperation agreements. On base of copyright material received from the ICSTI community countries, an information and analytical compendium entitled it was elaborated “The Situation of National Innovation Systems”. This is the first edition in the cycle of collections on “Innovative processes in the countries of the ICSTI community”. Its appearance is due to the intensification of ICSTI activity aimed at information, organizational and consulting support for innovative processes. The collection contains materials from the ICSTI member countries such as: the Republic of Belarus, the Republic of Bulgaria, the Republic of Kazakhstan, the Republic of Moldova, the Russian Federation, Romania, Ukraine, the Republic of Azerbaijan and the Czech Republic, prepared by the Association of Innovative Entrepreneurship of the Czech Republic which is the ICSTI long-term partner. The main attention is paid to the problems and trends in the development of national innovation systems (NIS) in the ICSTI countries. From the initial concentration of attention exclusively on science and technology, as the main factors determining the environment in which innovative entrepreneurial companies operate, NIS started to be considered as a system. The second edition was elaborated as a part of the Collection “Innovative processes in the ICSTI Community countries”, which is actually an information and analytical compendium on “Environmental problems and ways to solve them”. The handbook contains analytical materials and research results of specialists from the public administration, scientific, educational and innovative organizations specializing in the field of ecology and environmental protection from the ICSTI member countries and other countries: the Azerbaijan Republic, Belarus, the Socialist Republic of Vietnam, Georgia, Republic of Kazakhstan, the Russian Federation, Romania, Ukraine, the Republic of South Africa and the Italian Republic. The collection is formed as separate sections by country. In 2011, it was published the next edition of the cycle - the international informational and analytical compendium "Problems of obtaining clean water and innovative solutions". The international informational and analytical compendium on "Problems of modern applied materials science" was the next edition of the cycle "Innovative processes in the countries of the ICSTI community". The relevance of the collection’s topics is undoubted, since modern materials science, being an interdisciplinary science, is designed to ensure scientific and technical progress and sustainable development of the national economy through the introduction of new high-quality materials of increased operational reliability, contributing to the growth and increase in the intensity of energy-saving technologies, expansion of the raw material base, and with improved features. The collection, formed as separate sections by country, presents analytical materials and research results in the field of materials science of specialists from the ICSTI member countries and its partners (Azerbaijan, Belarus, Georgia, Moldova, Russia, Romania, Ukraine, South Africa, Slovakia and the Czech Republic) : scientific, educational and innovation organizations specializing in materials science. In May 2013 was published the informational and analytical compendium entitled “Problems of the AIC in the ICSTI Community Countries and Innovative Solutions to their Solutions”. The content of the collection is focused on researching of problems and identification of theoretical and practical developments in the field of agriculture in ICSTI member countries and partner countries, monitoring and evaluation of their contribution to solving these problems. In the collection are inserted results and research and development, educational, organizational, and structural of innovation field from such countries as: Azerbaijan, Belarus, Georgia, India, Kazakhstan, Moldova, Mongolia, Russia, Romania, Ukraine and the Czech Republic. From April, 2006 till now it has been publishing the ICSTI international journal “Information and Innovations”. The main tasks of this journal are to inform about the processes occurring in the scientific, technical and innovation fields of ICSTI member states and other countries, in order to promote the development of entrepreneurial and innovative technological activity, to form sustainable international relations and to expand cooperation between ICSTI member states and interested partners. The journal analyzes the problems of national systems of scientific and technical information and national innovation systems, as well as their interaction, global trends in the development of innovative processes, focuses on small and medium-sized innovative business and information support to promote innovative projects, technologies and products to the markets. 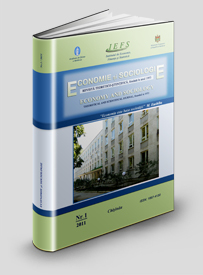 Among the authors of the articles in this journal are the leaders and employees of the Research Institute of Economic Research: Stratan A., Guslikova N., Perchinskaya N., Bordian E, Zasmenko T. and others. We, sincerely, congratulate the stuff of INCSTI with this beautiful anniversary and with the successful launch of the ICSTI project in order to create an international platform of open access to scientific and technical information and the highest achievements in all their activities. Best wishes from: Mr. Alexander Stratan, acad. Membr. 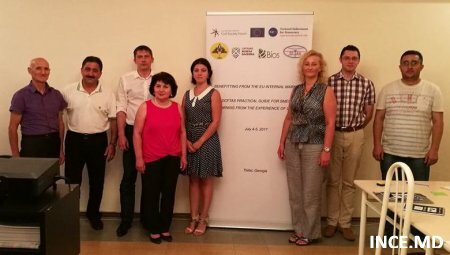 of ASM, professor, director of the NIER, Mrs. Lilia Ghitiu, PhD, associate prof., Head of Public Relations, International Cooperation and Technology Transfer Department, Mrs. Natalia Guslikova, scientific researcher. Second workshop of the project "Let's Rock the Central, Eastern and Western Europe with Transnational Local Action"
On 24th of April, 2018, in Beloviste, Macedonia, the second workshop of the project Let's Rock the Central, Eastern and Western Europe with Transnational Local Action, funded by the Visegrad Fund and implemented by the National Institute for Economic Research, was organized by FACE (MK) and Inspiro Consulting (MD). The scope of the workshop was to share V4 practices of LAGs in Czech Republic and Hungary. 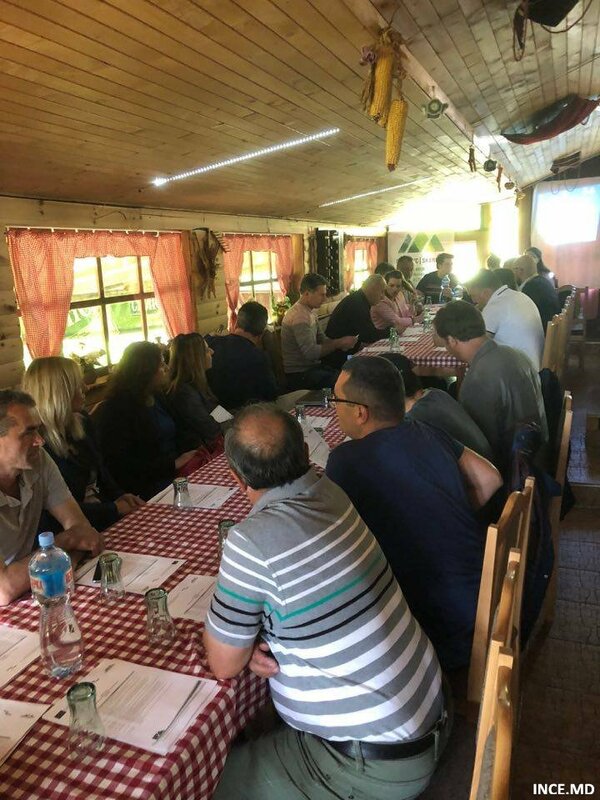 The event was organized for an existing Local Action Group, Skardus.The event was attended by Skardus member, agriculture extension representatives, business sector and NGOs. Nikola Trendov and Dumitru Stratan introduced the project activities and its outputs. On other hand, Dr. Laszlo Papocsi and Dr. Petr Konvalina presented case studies of existing LAGs in Hungary and Czech Republic. 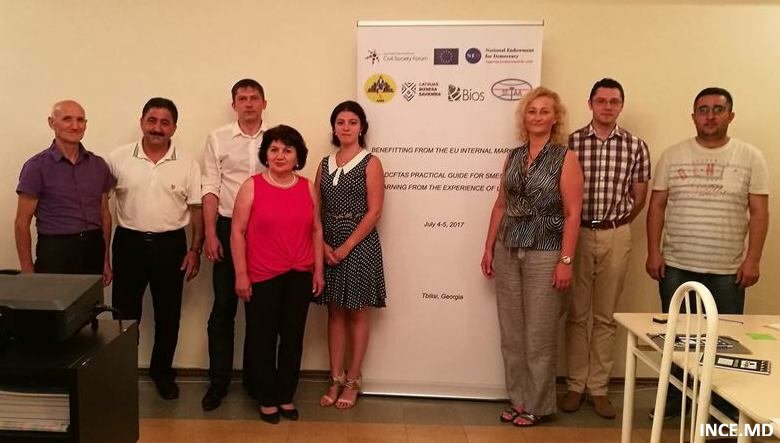 On July 5, 2017, Mr. Valentin Ciubotaru director of the NGO BIOS together with Vladislav Boldurat, scientific researcher at the National Institute for Economic Research participated at the round table in the framework of the project ”Benefitting From EU Open Market: SMEs Practical Guide to DCFTA Learning from Experience of Latvia”. Venue of the round table – Tbilisi, Georgia. Representatives of Moldova have had two presentations: ”DCFTA in Moldova” submitted by phd. 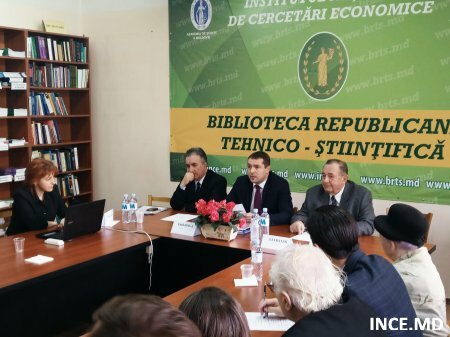 Valentin Ciubotaru and ”SMEs support policy in Republic of Moldova”, submitted by Vladislav Boldurat. The event was attended by representatives of Georgian public bodies and experts delegated from Latvia and Azerbaijan. It is need to mention that in the framework of the round table there were discussed the practical aspects of the agreement of the DCFTA for SMES and the experience of the implementation of the programmes of the DCFTA in the partner countries, as well. On July 07, 2017, the representatives of the Financial and Monetary Policy Department participated within the closing session of the Twinning project "Development and consolidation of the National Commission for Financial Markets’ operational and institutional capacities in the field of prudential regulation and supervision". The project in question was implemented by the Polish Financial Supervisory Authority (KNF) for the benefit of the NCFM, being funded by the European Union within the European Neighborhood and Partnership Instrument. 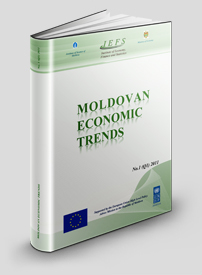 „Econometric modeling of financing of innovational activity in Moldova”. (Ganea Victoria, Stratan Alexandru) – Bronze Medal. „Evaluating opportunities to implement”. Chapter: Innovative business venture in Republic of Moldova. 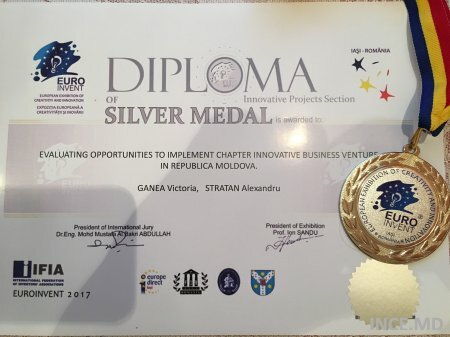 (Ganea Victoria, Stratan Alexandru)- Silver Medal. „Enhancing the role of innovation in Business growth through the efficient use of budgetary allocations in science and innovation in Republic of Moldova”. (Ganea Victoria, Stratan Alexandru)- Bronze Medal. It is a great appreciation and we also want for the future to have such beautiful results recognized both nationally and internationally. 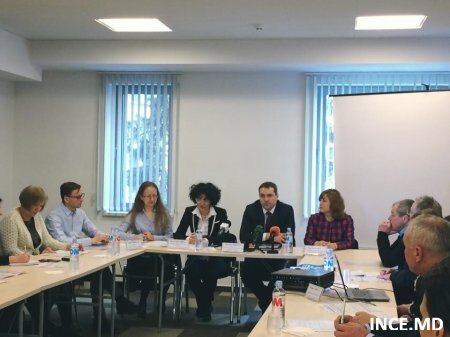 The National Institute for Economic Research was given the opportunity to implement the Youth Labor Market Observatory (YLMO), with the support of the Catalytic Fund of UNDP Istanbul Regional Hub and overall guidance of UNDP Moldova. The project manager is Ms. Olga Gagauz, PhD, Deputy director of NIER. The goal of the YLMO is to improve the availability of labour market information and to promote and facilitate the implementation of national strategies and programs to reduce youth unemployment and increase their inclusion in the labour market. The YLMO will provide analytical support to state institutions in monitoring the labour market situation, and implementing policies to integrate young people into the labour market by providing information, analytical studies, creating databases, providing young people with support for career development, etc. National and international experts, representatives of ministries, ANOFM, international organizations and civil society will be involved in the development of the YLMO. Launch of the demographic Barometer "How to correlate economic and demographic development or what it is demographic dividend?". At 22 February, 2017 the Centre for Demographic Research, in collaboration with United Nations Population Fund in Republic of Moldova, launched the demographic Barometer "How to correlate economic and demographic development or what it is demographic dividend?". On March 3, 2017 within the National Institute of Economic Research was organized a round table on “Crisis and redefining of the role of central banks”.